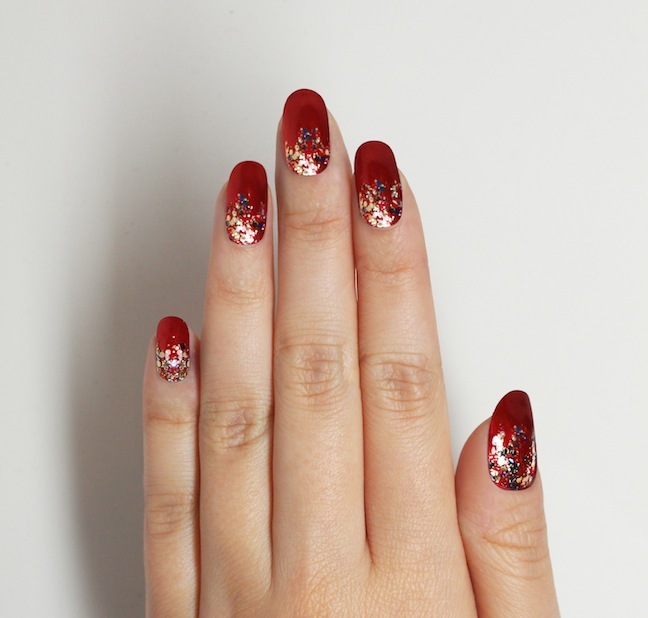 Looking for a last minute, easy-to-do nail art look festive yet sophisticated enough for your New Year’s Eve fête? 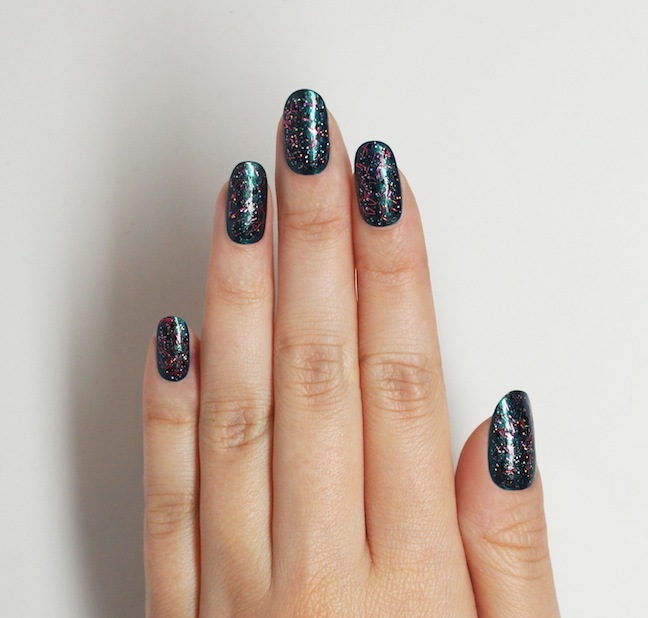 Try these looks, courtesy of editorial manicurist extraordinaire, Jin Soon Choi (she’s done the nails of everyone from Lady Gaga to Gwyneth Paltrow) — you can even do it running out the door. Step 2: Apply 2 coats of JINsoon Heirloom. Step 3: Dab JINsoon Fête topping on top. 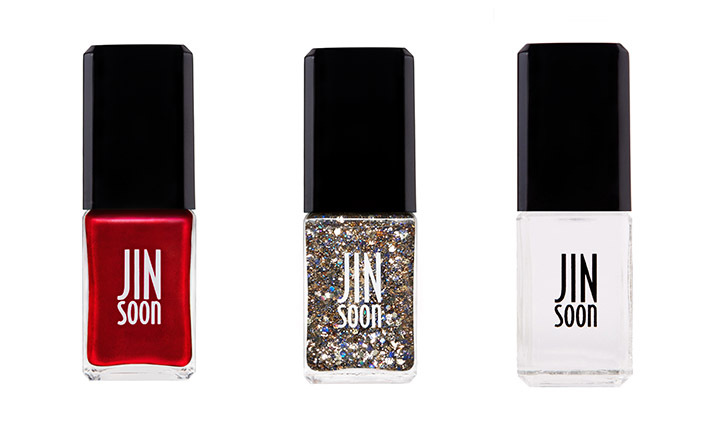 Step 4: Finish the look with JINsoon Top Gloss. 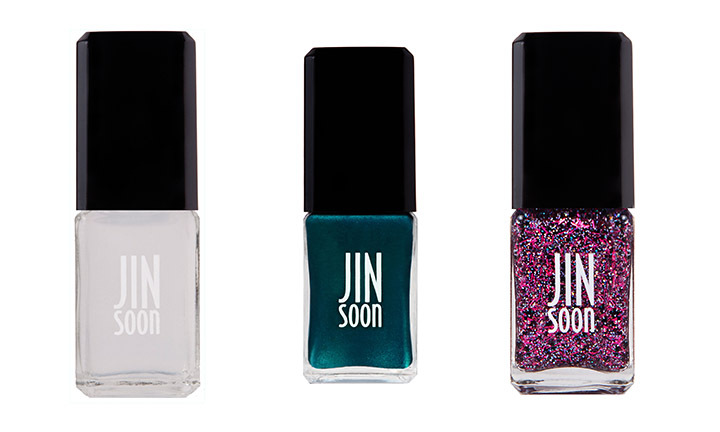 Step 2: Apply 2 coats of JINsoon Opulence. Step 3: Dab JINsoon Glacé above the cuticle area until you achieve the desired result.